Little Miss M. has an older sister. She's 2 (the girls are about 20 months apart) and it wasn't her birthday this week. Fear not ... she came up with a brilliant idea - on M.'s birthday they'll both get gifts and then on L.'s birthday they'll both get gifts. Hmmm .... how could I argue with that? 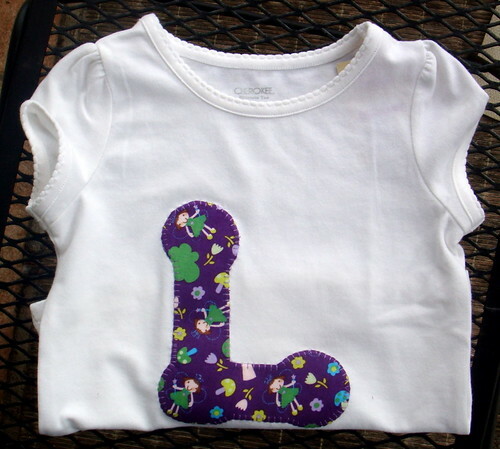 For L. I made a simple appliqued top. I used Heat 'n Bond to adhere the transfer and then just stitched around the outside.